TDXEnterprise is the latest addition to Terralink’s software product line. 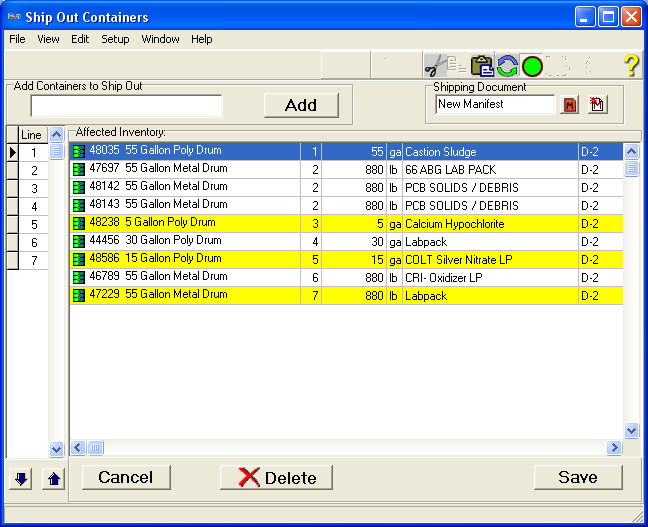 Designed for the heavy inventory demands of a TSD facility TDXEnterprise employs a Windows Explorer look and feel interface for easy access to your company's hazardous waste information. Add our recommended bar code equipment to TDXEnterprise in order to accurately track and audit your inventory with ease. Like our TDX transporter version TDXEnterprise offers complete integration of regulatory and chemical constituent information with all of your hazardous waste data. TDXEnterprise’s Inventory module provides powerful hazardous waste constituent management that allows you to efficiently track waste from generation until final disposition. Coupled with Terralink's exclusive Select and Second Click data management functions, you can analyze past inventory trends, or project upcoming inventory transactions. To ease electronic exchange of data, Terralink has developed TAXI, an XML- based language to enable the communication of your hazardous waste information across the room, across town or across the country. With the click of a mouse, you can share updated profiles with remote locations or business partners. You can send manifests electronically in a format that will be accessible by a number of programs. And you can submit regulatory reports with confidence that your data can be imported easily into a variety of agency software systems. TDXEnterprise includes hundreds of Reports, including specific facility profiles, state-specific manifest data, state reports and the Federal Biennial. As part of our commitment to your business success, we will also create custom reports to meet your specifications. Rest assured that all of your reporting needs are now under control - your control. Add our TDXConnect customized Web interface to your Terralink software package and allow your customers to connect with their data. Designed to work hand-in-hand with TDXEnterprise your facility customers can submit profiles online, view their data, run reports on their data, and more.